It’s Majik! Blue Spirulina is the Superfood You Need Now! 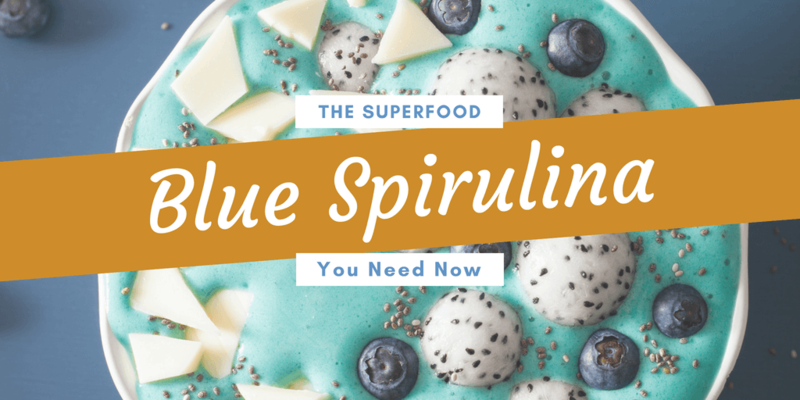 If you’ve scrolled through Instagram lately, you’ve likely seen blue-hued smoothie bowls, lattes, and other foods made with Blue Majik, also known as blue spirulina. 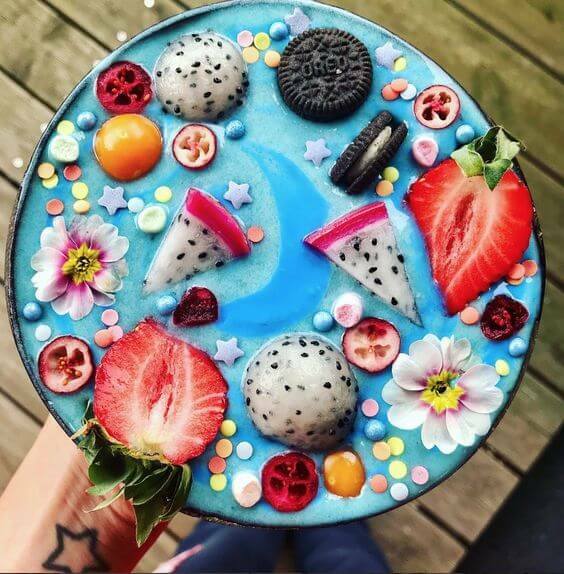 Taking social media and health enthusiasts by storm, this superfood is turning everything blue – from mermaid lemonade to cheesecake. The gorgeous hue turns ordinary dishes into edible works of art. Not only lovely to look at, Blue Majik is super healthy. A derivative of spirulina, the nutrient-packed algae is rich in protein, iron, antioxidants, vitamins, and phytonutrients. Read further to learn more about this superfood and the amazing health benefits! Scroll to the end to get an inside-look at our Electric Blue Elixirwhich uses blue spirulina. So, what is Blue Spirulina? Blue Majik, also referred to as blue spirulina “is derived from blue-green algae, Arthrospira platensis; this algae is more commonly known as spirulina,” according to Nutrex Hawaii. Phycocyanin, the bluish antioxidant found in spirulina, is extracted and sold as a blue powder. Inflammation occurs naturally and can be beneficial in limited periods, like when your body is fighting off an infection. But too much is bad for your health. Prolonged inflammation, caused from poor diet and stress, can cause chronic inflammation, autoimmune conditions, painful joints including rheumatoid arthritis, higher risk of cancer, and may contribute to heart disease. The list could go on, but the bottom line is that you need to control your inflammation. Blue spirulina has been shown to protect against inflammatory disease and arthritis, according to the National Institute of Health(NIH). Their studies showed that the blue-green algae helped reversed inflammatory effects within days. You’ve likely heard of “free radicals,” the unstable electrons that are caused by oxidative stress. These free radicalscan cause a range of diseases and aid in aging, such as wrinkles. As you get older, your ability to fight free radicals is reduced. Antioxidants to the rescue! Studies by the NIH have confirmed the blue-green algae protection against oxidative stress, or free radicals. The Antioxidants packed in Blue Spirulina help to reduce inflammation and fight against cancer and other diseases. Too Many Health Benefits to Count! Including amino acids, vitamins, iron, copper, thiamin, protein, spirulina is chock full of amazing health benefits. Clearly, you need to add this superfood to your diet! 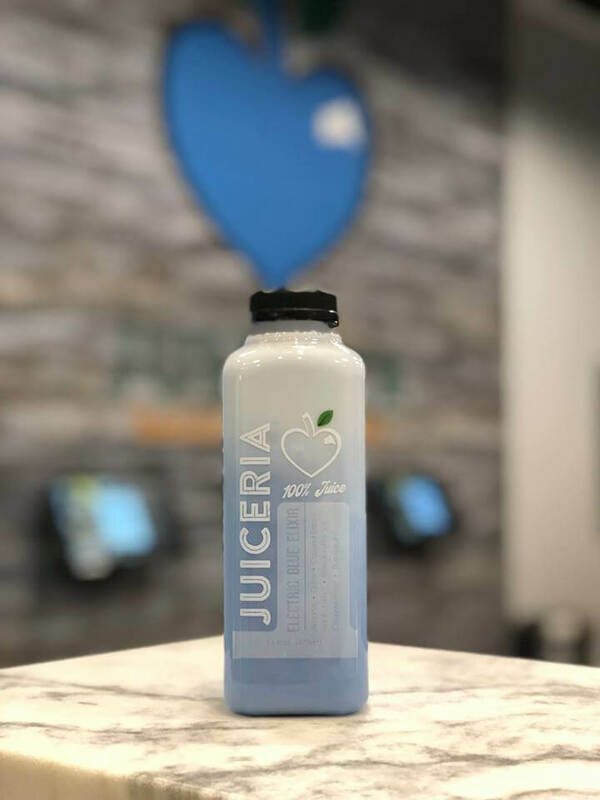 Try Juiceria’s Electric Blue Elixer! Summer is the perfect time to channel the tropics, and our Electric Blue Elixir can help you do just that. With coconut extract, Hawaiian pink salt, almond, date, coconut water, and of course blue spirulina, you will feel like doing the Hula with energy to keep you dancing all day long. Not to mention, the beautiful blue hue of this juice is completely Insta-worthy. So, what are you waiting for? Come down to your Juiceria and learn what doctors and social media gurus have already learned. Blue Majik is pretty much just that – magic!